Enjoy unobstructed views, shade, security and energy savings with window tinting film! Why Invest in Window Tinting? Our window tinting lowers your energy bills! 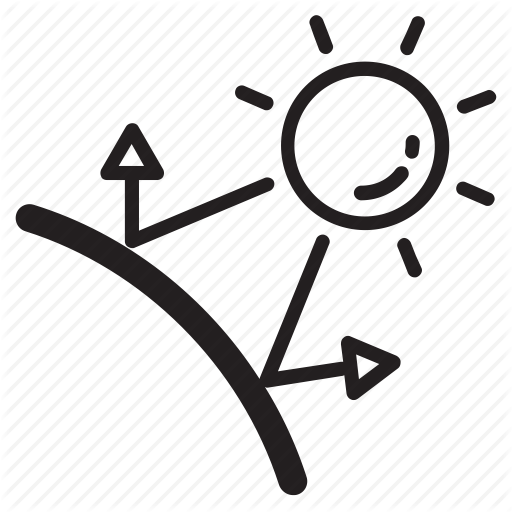 It blocks 99% of harmful UV rays, reduces glare, and maintains comfortable temperatures. Plus, window film offers an extra level of protection against potential break-ins. Thanks to 3M advanced technology for superior strength and durability, window film provides protection and peace of mind. All of our products are backed by a lifetime manufacturer warranty. For 26 years, D&R Pro Trim has provided the highest-quality window films for home, office, and commercial buildings in the greater Oklahoma City, Oklahoma area. Our window tinting ensures the ultimate in comfort. D&R Pro Trim is an affordable and effective solution to keep comfortable temperatures and stop irritating glare. What Can Our Film Do for You? Prestige™ Window Film by 3M® works like a filter, rejecting 99.9% of harmful UV rays, up to 78% of heat, and infrared light, and depending on amount of tint you choose, allows for excellent clairty, or increased privacy. Our films can significantly reduce your energy costs. By using window tinting to reduce the amount of heat coming through your windows, the cost to heat and cool a building will reduce. This can mean big savings over the course of a year! Enjoy protection from damaging UV rays. Damage from rays penetrates deep into the skin and can silently accelerate the aging process. This may cause wrinkles or skin cancer. It also causes fading of furniture and decor inside. 3M Security films provide protection from wind, flying debris, intruders and shock waves. They will provide protection against flying shards of glass from the broken window and protect the occupants inside the building. Our films help prevent shattering or flying glass pieces by holding the glass together. In the event of a break-in this can deter theft. See our services section below for more details! Personalize your home or office with your choice of decorative films! We provide decorative window film, window privacy film, stained glass window film, and frosted glass films. Choose from many stunning designs—find the one perfect for your taste. By letting us install a security film at your place of business or your home, you'll protect your belongings from thieves—as well as deter vandals here in the Oklahoma City, OK and surrounding OKC areas. It also provides quiet and peace of mind! We are 1 of only 2 certified 3M Prestige sun control window film dealers in Oklahoma! 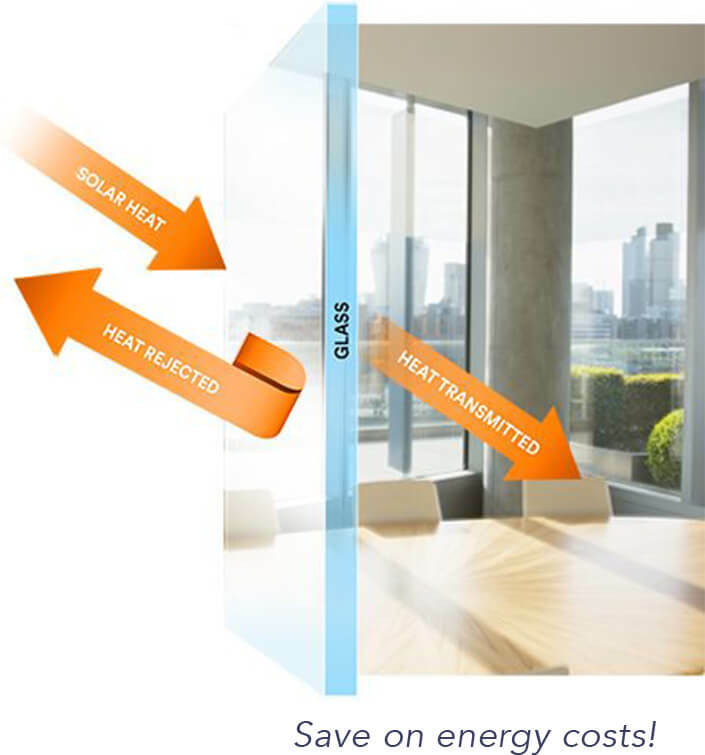 Want to lower energy costs for heating and cooling? Window tinting can be the answer! During hot summer months, buildings with many windows have a hard time keeping up with the high demand for cooling. As cold air is pumped in by the AC unit, the sun works against it by radiating hot air inside through glass windows, lowering the cooling system's efficiency and costing you more money. Ready to lower energy costs for heating and cooling? How much would you save on your electric bill every month if you could block up to 78% of the radiant heat entering your house through your windows? Applying film to all the windows in your house is a very smart investment and one of the most cost effective solutions for saving on heating and cooling. 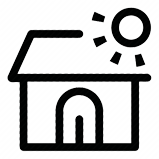 During hot summer months, air inside your home is heated through your windows. Sometimes, your air conditioner will have a hard time keeping up, which you'll see on your electric bill. Window films work to balance the temperature throughout the year by keeping hot air outside your home during the summer and warm air inside your home during the winter. We use beautiful modern graphic tinting to allow us to create full color window graphics, eye-catching digital wallpaper, and stunning print installations for home or business locations. This gives you the option to really bring your windows to life. It also provides privacy and security. Some favorite choices of our customers include: Fabric window tinting, frost & matte pattern window tinting, gradation & combination of patterns window tinting, prism & dot patterns window tinting, stripe window tinting, and border & line patterns window tinting. Reflective films help a home or residence to combat heat and protect from UV rays. UV films to guard against fading on your floors and furniture too! Our frosted window films and solid vinyls are great for privacy. Protect your skin and valuables. Our beautiful UV window film is a good starting place to provide this protection while maintaining the existing aesthetic of your home. Our window films are an easy and cost-effective way to reduce heat, glare, and fading. Our sun protection privacy films will create privacy and block 99% of UV rays. Keep your floors from fading, and keep your furniture looking new! Our window films help keep your office or home safe. Safety tinting can help to stop an intruder. It can create one extra layer of protection—giving you a few extra minute to call 911 in an emergency. It makes breaking into a building more difficult. Protect your home or business by installing protective window tinting today! 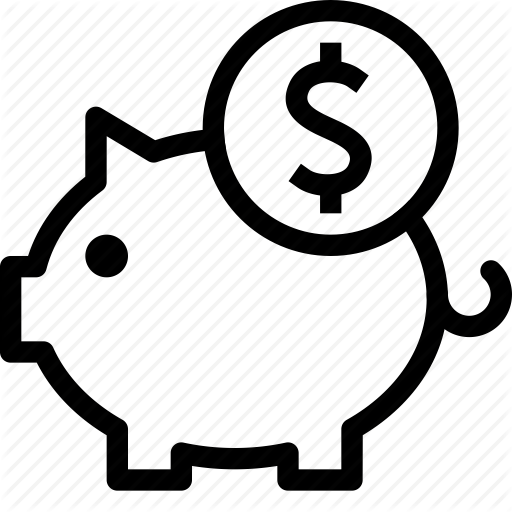 With our window tinting, you can save money on your utility bills every year! During hot summer months, buildings with many windows have a hard time keeping up with the high demand for cooling. As cold air is pumped in by the AC unit, the sun works against it by radiating hot air inside through glass windows, lowering the cooling system's efficiency and costing you more money.